As a former teacher and now a mom, I look for toys that are built to last and attractive to all ages. When they add in a bit of learning to the fun, I'm sold. 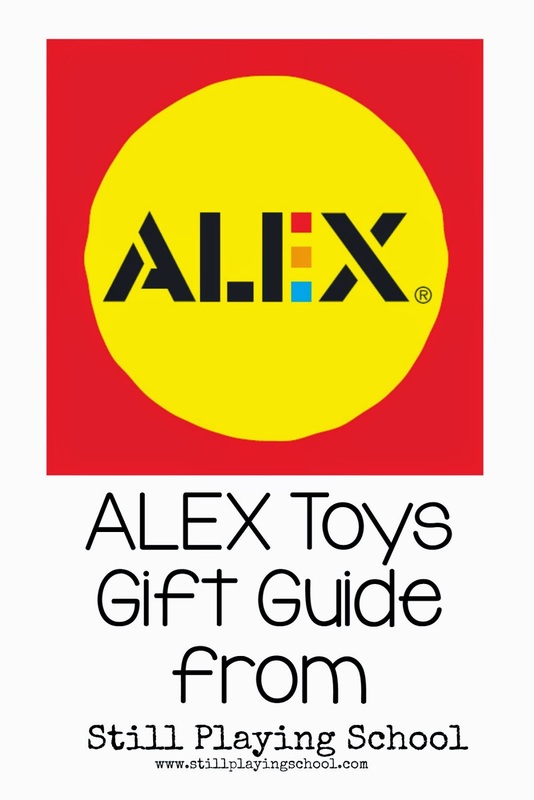 ALEX Toys is one of our most favorite brands for the most entertaining educational products! It's no secret if you follow our light table posts that we love, love, love our ALEX Toys Prism Light Center for sensory light table learning activities. 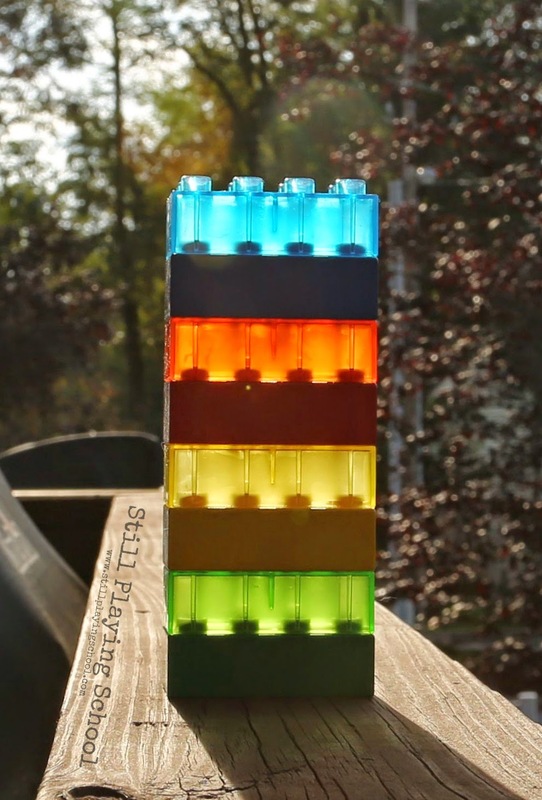 ALEX Toys' transparent Prism Bricks look great on the Prism Light Center or off in the sunlight! Our preschooler has dramatically improved her scissor cutting skills with this fun and engaging craft set. She snips away to create colorful craft creations! We bought these foam transportation themed "stickers" for our toddler last year. Both kids love to put the roads together and drive the vehicles around the tub during their baths! 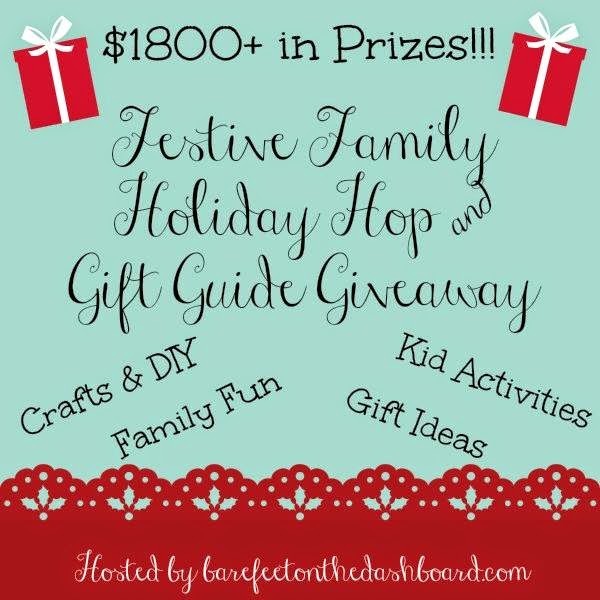 I love recommending consumable craft supplies to our family and friends for the kids' gifts! We can never had enough of these awesome bath crayons! I store extras away under the sink to pull out on a day when we need an indoor activity. We don't have a yard but we do have a park nearby so I love that the paddle tether ball set is sturdy yet easy to pack up and transport. You could even play with it inside during those long winter days! During the summer we take it to picnics and pool parties, too. ALEX Toys is always at the top of our wish lists. We are dedicated to the brands we love! I, er, we really want a spin art set! This one looks fabulous! E dedicated so much concentration to our first sewing activity that I'd love for her to try this sewing kit! E is an artist through and through! This color changing marker set has fabulous reviews on Amazon! We will be adding this to our list to buy for the little babies (and their parents) for baby showers this year! They are so versatile as they grow with the kids that we could use a new set for our tub and water table, too. I just know toddler D (and preschooler E, too) would love to get their fingers into these vibrant paints!